Emu oil for hair growth features prominently in The Ultimate Hair Growth Guide and How to Grow Hair Healthy and Long with Natural Oils because of its unique properties, which have a lot of benefits for optimizing hair growth. 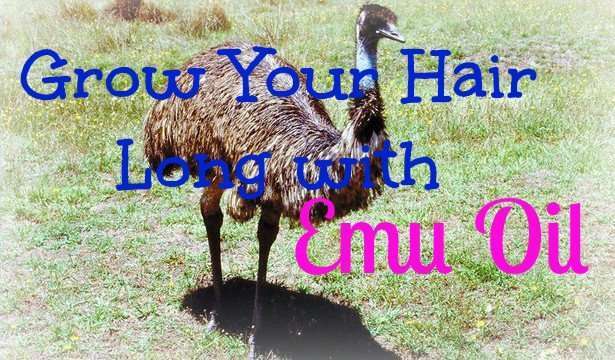 This article will discuss what is emu oil, how emu oil is made, benefits of emu oil for hair, how to use emu oil for hair growth, emu oil hair growth recipes, emu oil side effects and where to buy the best emu oil for hair. 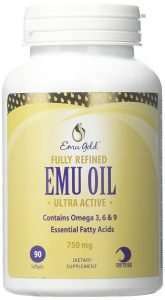 Emu oil is derived from the fat found on the back of mature emu birds. The emu bird is native to Australia. 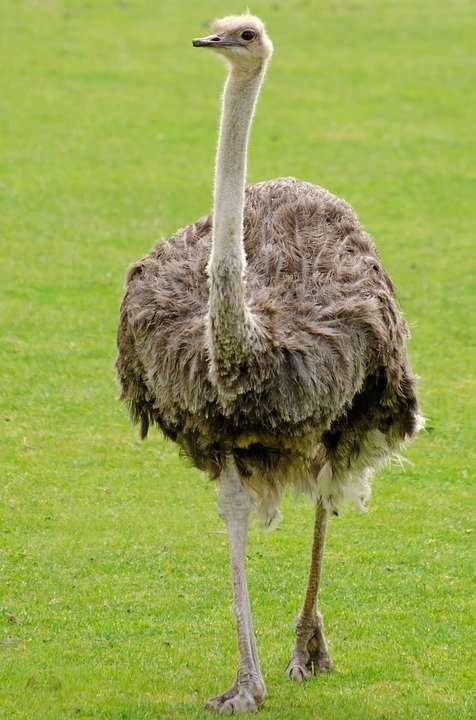 It is a large flightless bird that looks like an ostrich. The bird is aka Dromaius novaehollandiae. Emu birds are also farmed in US, Canada, and Europe. Depending on the diet of the bird as well as the processing method used, emu oilcan be an offwhite creamy texture, a pale yellow or something in-between. The viscosity of the oil also varies based on these factors. Traditionally, Aborigines in Australia have been using emu oil for thousands of years to treat a variety of ailments such as minor aches and pains, wounds and protect their skin from the elements. 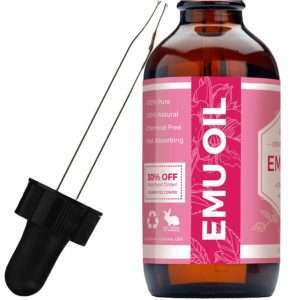 Emu oil is made by refining the fat on the back of the emu bird. The best method of refining emu oil is via molecular distillation. Molecular distillation is a process whereby heat is used to produce the evaporation of volatile components from the fat then later cooled and condensed. The end result is an oil with less volatile components. Can You Use Emu Oil on Hair? Yes, you can use emu oil on hair. It’s one of my go-to oils for scalp massages. Emu oil revitalizes the scalp and can help trigger cell renewal in bald areas, which promotes hair growth and also thickens up new growth. If you have serious issues with your edges, then emu oil should be added to your hair regimen ASAP. 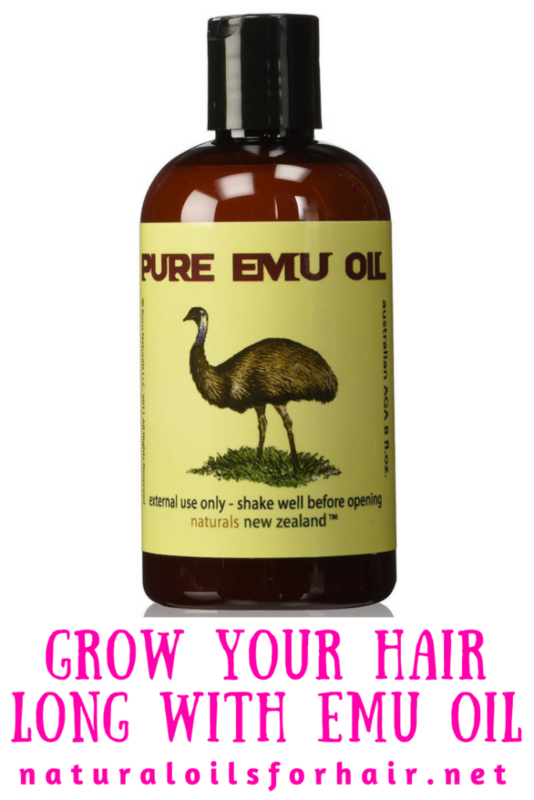 Read on for how to use emu oil for hair growth. The powerful anti-inflammatory properties in emu oil help eliminate scalp issues such as dandruff, eczema, dryness and itchy scalp. Any variety of things can lead to dormant follicles on the scalp. These areas have either stopped growing or manifest as bald spots and thin hair. Emu oil helps trigger cell renewal on the scalp and awaken dormant follicles. An emulsifier is a product that helps an emulsion disperse properly and remain stable. Added to DIY hair care solutions as well as mixed in with natural oils, emu oil blends well with other products and can help stabilize the formulations. Emu oil is a non-comedogenic oil meaning it’s unlikely to clog the pores when applied to the scalp. Read How I Used Emu Oil to Treat My Acne. As a hypoallergenic, emu oil is gentle and suitable for all skin types including sensitive skin. It’s unlikely you will have an allergy reaction to a neutral lipid like emu oil. Due to its high vitamin E content, emu oils helps promote soft hair and can be added to your sealing oil recipe. However, it’s not cheap and is better used primarily for scalp issues and recovering from hair loss. Close the bottle and shake. Your scalp oil is ready. Apply every few days to your scalp and massage in thoroughly until absorbed. In this recipe, you can reduce the pumpkin seed oil or coconut oil and add other oils for scalp issues such as calendula oil, borage seed oil, and cranberry seed oil. Add 10 drops of rosemary essential oil, peppermint essential oil or eucalyptus essential oil. Apply to problems area every night and massage in thoroughly until absorbed. You can use this along with the inversion method for even better results. In this recipe, you can also use pumpkin seed oil, burdock root oil, and coconut oil. As with all remedies, consistent use is crucial in order to see any progress in addition to eliminating any bad hair care practices. With emu oil, you should begin to notice a difference within 3 months. Be patient and allow the recipes time to work. Don’t jump to something else if you don’t see progress within a few weeks. Always make sure the emu oil you choose is pure and correctly processed! 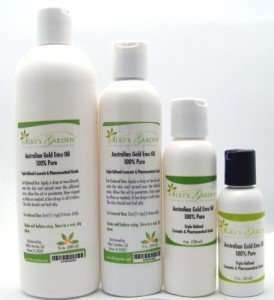 The emu oil I personally use is Silky’s Garden Emu Oil. The supplier lives in Australia and her emu oil is 100% pure. Other recommended brands of emu oil include Leven Rose Organic Emu Oil, Naturals New Zealand Pure Emu Oil, Montana Emu Ranch Company Emu Oil and Bella Terra Oils Pure Emu Oil. You can grab these emu oil brands with free shipping when you sign up, risk-free, for Amazon Prime. Try Amazon Prime HERE. Emu oil should be safe to use externally on hair and scalp as the makeup is close to that of human skin. In the case of any discomfort, discontinue use immediately. If you are nursing or pregnant, consult with your physician before adding emu oil to your hair care regimen. Can You Eat Emu Oil? Emu oil has been found to lower bad cholesterol in the body and reduce inflammation related to conditions like arthritis. Emu oil is usually available as soft gel capsules. However, before you start consuming any supplements, you should consult with your primary care physician. There’s a whole chapter in there dedicated to using oils for hair growth and why. Learn more and grab your discounted copy HERE.